Major websites has done a little makeover as expected. Every festive season/special day they will change their logo into something more festive-ish. It’d very fun to watch the creativity of these websites. I’ve always admired the creativity of Google. It always gives something unexpectable. Nice pumpkin. YouTube is currently under construction, so hope they finish soon. Let’s see who beats it to Christmas next. October 31st – 10,000 Hits! Yeah! My blog finally has 10,000 hits! 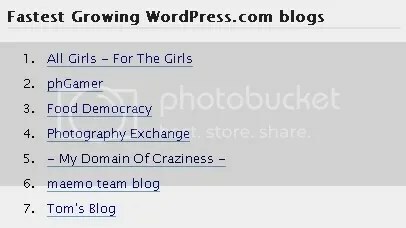 – My Domain Of Craziness – is currently 5th on WordPress’s fastest growing blog list. I’m very thankful and happy for that! Halloween is doing me good! HAPPY HALLOWEEN! TRICK OR TREAT! Simple Plan are back in action! They just released a new single – “When I’m Gone” yesterday. This song is another SP-type song, boy-band-ish, pop sounds. I really like the song, it’s great, and I think suits as the single perfectly. Their album will be released on January 29, 2008. Sweet! Its finally here! Here is the album cover for this year American Idol’s winner, Jordin Sparks’ new CD! This is from Amazon. I love it a lot! I think it’s stunning. Jordin is one pretty hawt lady. There were rumours saying that her album will be titled ‘Madamoiselle’, but I guess Jordin wants her name on her album, unlike Blake Lewis’ ‘Audio Day Dream’. Her single Tattoo is growing on me and I love it a lot! Hopefully more songs will leak (!!) and we’ll get to hear more! Jordin’s album comes out on November 20th, 2007. Remember to get a copy! Comments are really appreciated. Leave them. What do you think? Here’s a new song from Lucas Grabeel aka Ryan Evans from High School Musical! It’s called ‘You Got It’. It’s a very weird and fun song with the words ‘You Got It’ being repeated over and over again. Here’s a song from Blake’s upcoming album “A.D.D” which isn’t his single, but has leaked! (everyone loves leaks!) This is another very oldies-inspired song with lots of beatboxing. And some very high notes! 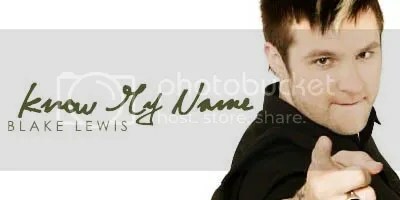 American Idol 6 runner up, Blake Lewis’ new single is finally out! It’s called “Break Another”! This song is a disco-like, up-tempo song. Finally there’s a song from him after a long time! Can’t wait for the album – “Audio Day Dream”, crashing out on December 4th! You are currently browsing the - My Domain Of Craziness - blog archives for October, 2007.